Central Park Residences - a selection of twenty-two lavish three bedroom apartments set in an exclusive five storey marble clad development all with spacious reception rooms and glass fronted balconies. 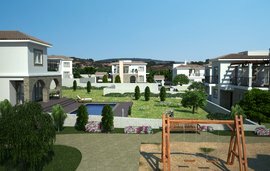 Central Park Residences are luxurious city apartments located in the centre of Pafos Town. Boasting Magnificent town and sea views, their central location offers unique access to a wide selection of cafés, restaurants and boutiques along with blue flag beaches, hotels, resorts, and golf courses. The development has been finished to a high quality specification and include top end fixtures and fittings. 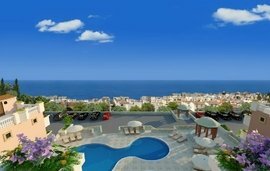 All apartments have generous double bedrooms, spacious receptions rooms, contemporary styled kitchens and bathrooms, balconies and secure underground parking. 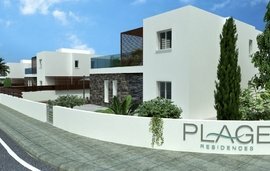 Central Park Residences are situated close to a number of archaeological sites and places of historic interest, and are within 15 minutes drive of Pafos International Airport. Property locations are not exact, please check with the Winkworth International Developments office.